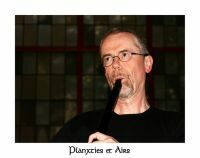 The singer and multi-instrumentalist (Guitar, Cister, Whistle, Low Whistle, Pipes & Tabor pipes, English Concertina, Harmonica) Claus von Weiss is an active folk musician since 1971 and involved with different ensembles. 1984 he founded the folkgroup „Morris Open“ which is still going strong and in 1994 the Vocalensemble „Trutz Nightingale “ came to life. 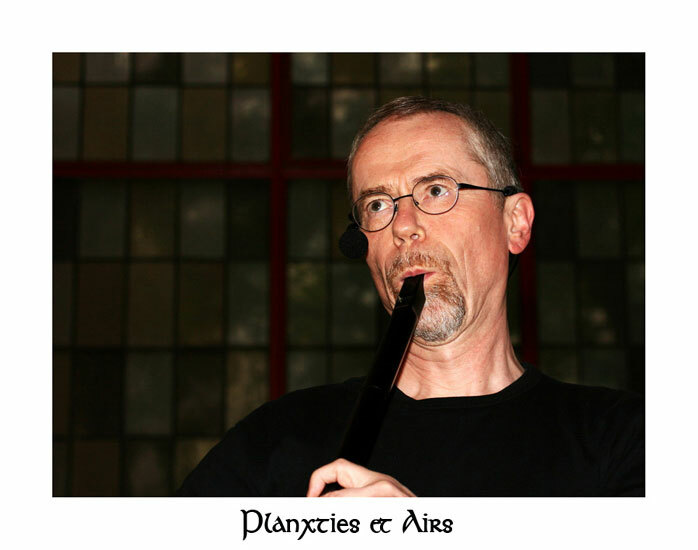 Since 2000 he is intensively playing High and Low whistles which resulted in the founding of the duo „Planxties & Airs “, in which church organ and whistles and/or Low Whistles are melted together to an unusual and extremely delightful partnership. "Loving whistles as much as I do I’ve played some by almost any maker. Should you ask me, which of all these beauties allows the most emotional and expressive playing, without a hint of a doubt I’d say, it’s the Colin Goldie Low D. Then there’s of course his Low G, his Bb ... all great intruments by a real master craftsman and a hell of a sweet person as well!"